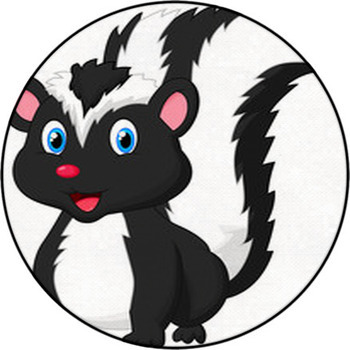 Skunks can cause a storm with their stink, but surprisingly, they are cute and furry animals. 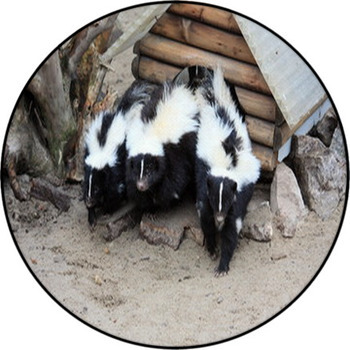 Although you may not want to own one, you can still add their cuteness to your home by purchasing skunk rugs. 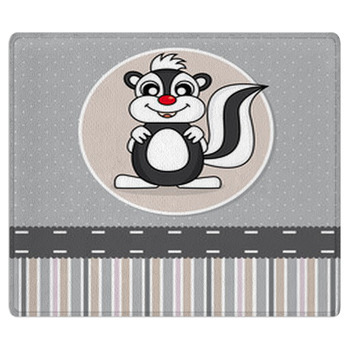 We have placed images of animated skunks on our rugs, which is one the reason for their adorable features. 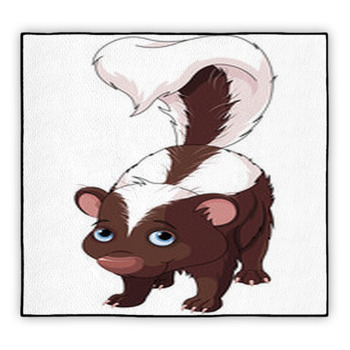 Examples of their adorableness include the cute skunk waving his hand, the beautiful skunk with her brown eyes and full of head of hair, and the skunk with the bright blue eyes. 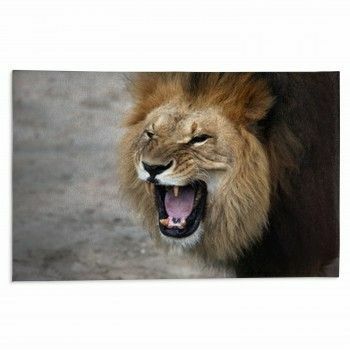 You can place the rug inside your room or outside of your room or house to welcome guests. 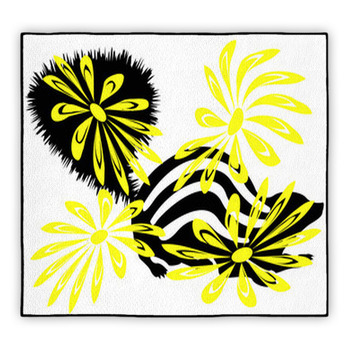 The cartoon skunk rug doing a headstand or the skunk smelling fresh flowers in a garden are great attention-grabbing rugs to have as a part of your décor. 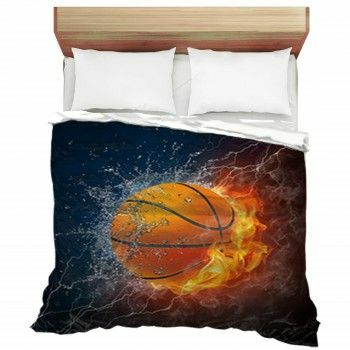 You can find a rug to place in any room of the house. For instance, you can put the skunk lounging on the couch for the living room. 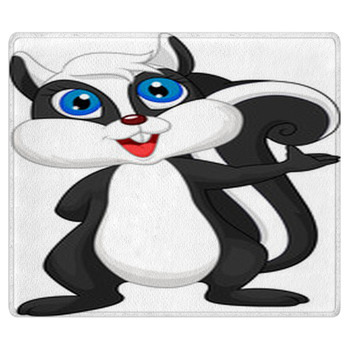 In the image, the skunk is lazily looking at you with a less than inviting expression on his face, which your guests may find humorous. 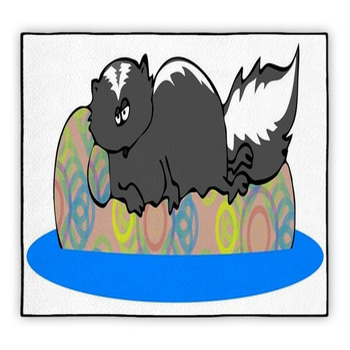 Another funny rug is the stinktier cartoon rug, showing a skunk with bulging eyes and unkempt hair in need of brushing. 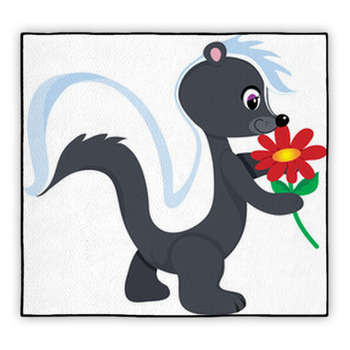 For the skunk with the best hairstyle, choose the cute skunk cartoon rug. If you do not want a skunk with a black and white coat, the skunk with the brown and white coat may be more to your liking. 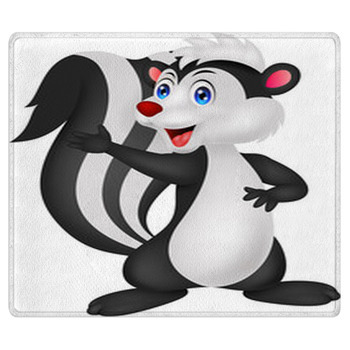 You can personalize the skunk rug with a greeting as well.